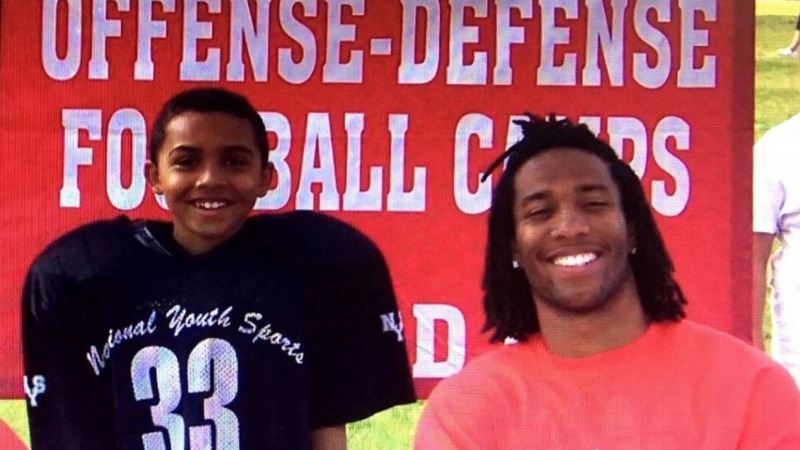 Before they became teammates, Valley native Christian Kirk had a chance to meet Larry Fitzgerald during a football camp in Flagstaff. Kirk was just 6 years old at the time. Kirk went on to star at Saguaro High School in Scottsdale and collegiately at Texas A&M before he was selected by the Cardinals in the second round of April's NFL Draft. On Saturday, the wide receiver played in his first NFL preseason game, and he was among the Cardinals rookies to make an instant impact by returning a punt for 38 yards in the first quarter vs. the visiting Chargers. The only downside: Kirk appeared that he might go on to score a touchdown -- he had only the punter to beat -- but he essentially tackled himself when he tripped over his own feet. After the game, Kirk joked that "snipers" brought him down on the play, while vowing to turn one of those returns into a touchdown in the future. Kirk didn't have to wait too long to receive praise from his idol. "Focus on the positives lil bro. The 1st time you touched the ball as a pro you damn near housed it. Huge play for us tonight and you will have plenty more opportunities," Fitz tweeted at Kirk. "No question. Appreciate you." Kirk responded. Focus on the positives lil bro. The 1st time you touched the ball as a pro you damn near housed it. Huge play for us tonight and you will have plenty more opportunities. Kirk's next opportunity to play alongside Fitzgerald and wow his hometown fans will come Friday when the Cards visit the New Orleans Saints for their second preseason game on Friday.